Amazon marketplace is world’s largest online shopping website. It is so flooded with all kind of products that the sellers have to struggle to survive and win the sales. Amazon PPC is the tool that helps them to stand out from the crowd. Amazon pay per click (PPC) advertising allows sellers to promote Amazon products on the top of the search results. 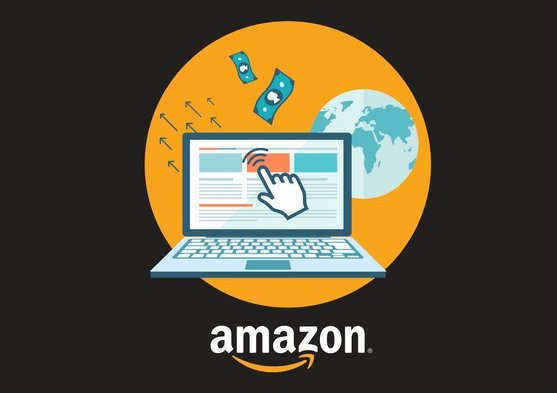 In this post we’ll provide you detailed guide on how you can structure your Amazon PPC campaign in order to get the maximum benefits. Structure of Amazon advertising campaign comprises on 3 major things; Campaigns, Ad Groups, Products and Keywords. Sellers have to decide which products and keywords will be added in which ad group and campaign while structuring a Amazon advertising campaign. Before getting into the technicalities of campaign structure lets learn a bit more about the Amazon PPC. What is Amazon PPC and How it Works? Amazon PPC is a pay-per-click advertising tool offered in 2012 to the sellers in order to promote listings and increase Amazon sales. Professionals sellers can advertise products on Amazon using their target keywords. These Amazon ads appear on search results page and product detail page. This advertising tool lets you bid on your target keywords. Ads rank in search results according to the bidding price with the highest being on top. PPC increases sales because it puts your listing on top of the search result page where the 70% of the shoppers buy from. How much to spend on Amazon Advertising? This is a basic question that every seller should ask themselves before setting up and running Amazon advertising campaign. You also need to see your margins and figure out your advertising cost of sales (For example, if a product is generating $400 with an ad of $50 your ACoS will be 50 ÷ 400 = 12.5%.). It perfectly makes sense to keep running an ad as long as it maintains the profitability. You always want to make $20 by investing $10 but think about spending on per unit sale basis instead of overall budget. Because different campaigns, ad groups and keywords will perform differently. You can easily filter out low performing keywords and ads and optimize listing with high performing keywords and ad groups. For new sellers, it is recommended that set up and automatic Amazon advertising campaign and let it run for few weeks. Find keywords with high conversion rate and optimize your listing with those keywords. Now run a manual and more controlled PPC campaign on target keywords. Now bid higher on top keywords and also bid on long tail keywords. After few more weeks you will be able to remove non performing keywords and ads. Campaign structures are flexible with a set of characteristics for the ads. Product category – Women’s handbags, skateboards, mobile covers, etc. By Brand – TP-Link, Cisco, NETGEAR, etc. Top Sellers – the most selling products. Here consistency is the key to avoid repeated ads; for example when you create one campaign by product category and another by top sellers. You will have repeating ads and certainly won’t be able to achieve your desired goals. While creating an ad group, make sure to include a similar set of products and keywords in same ad group. Because all products in that ad group should be displayed for that set of keywords in the same ad group. When using this approach, you have to be careful while analyzing the profitability of ads. Because products in same ad group having similar keywords might have very different profit margins. So you may consider creating separate ad groups for the keywords with different levels of specificity. In this case, for example, you have a collection of handbags and the keyword “women’s handbags” is relevant for the whole collection and for some specific handbags the keyword “leather handbags” is relevant and for some leather handbags the keyword “handmade leather handbags” is relevant. Now if you place leather handbags keyword in all ad groups of handmade leather handbags then you may not be able to track which ads are shown for which keywords. To avoid this, you can use general keywords in a separate ad groups like women’s handbags and then you can also include top selling products in this ad group. Amazon shows your ad for the set of keywords you chose but it also checks if those keywords are included in the listing detail (title, bullet, description and search terms) as well. That’s why you should check whether any keywords that don’t have any impression are included in the listing detail. If not, then you should add those keywords in the listing. This way ads will be displayed for those keywords as well, and reach the potential audience. Amazon keywords monitoring tool is another important tool which helps in tracking ranks of your product on targeted keywords. Ads are not always shown for the keywords you have selected as a Amazon seller. For example a customer searches for “handmade leather handbags”. A seller has bid on “leather handbags” Amazon will show the ad in the search result. When customer opens the ad only to find out that leather handbags are not handmade. It’s highly unlikely that customer will make a purchase but the seller has still paid for the click on ad. There are two options to prevent the unnecessary cost that may occur in such situation. You can either set keyword (1. match types or (2. negative keywords to optimize your PPC campaign. There are several different products within an ad group and they have the same set of keywords. Over the time you will know which products sell most. You need to remove less selling products from that ad group to use your budget wisely on ads for those products which sell most and have high ROI. This is a continuous practice to send clicks and impressions to those listing which will effectively convert visitors in to customers. During the Amazon advertising campaign when you’re going to target new keywords, it is recommended to bid a high price. Because new keywords don’t have traffic history and Amazon will prefer high bid while displaying ads. This way you can quickly start getting impressions and clicks on your targeted keywords. You can lower the bid price once you sufficient data to find the best bid price. Find new Amazon product keywords which are most relevant to your listing very easily through the Amazon PPC campaign. Again, for the beginners it is recommended to use automatic campaign and let Amazon decide the best keywords for your listing. Later you can use the most converting keywords for a manual campaign to take the full control of your PPC ads to improve sales. You can also run manual and automatic campaigns simultaneously for the same products. After a couple of days you will know which search terms have generated most sales. Then you can transfer those search terms in to your manual campaign and retarget. Basically, this way Amazon did a keyword research for you in automatic campaign. Implement above tips to structure your campaign and furthermore we have also shared optimization tips for your Amazon sponsored products ads campaign. When you structure and optimize your ads properly you will improve your overall return on investment(ROI) significantly.